I love creating cards to order. This one was made for my daughter's friend, and the request was for a fun card in pretty colours. 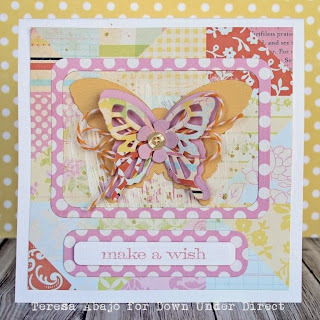 You can't go wrong with butterflies and pink for the pre-teen age group.